After his latest Fresh Blood release with his 2017 Beijing EP, Holly returns to Buygore Recrods’ sub-label, Fresh Blood, with a fresh new sound. 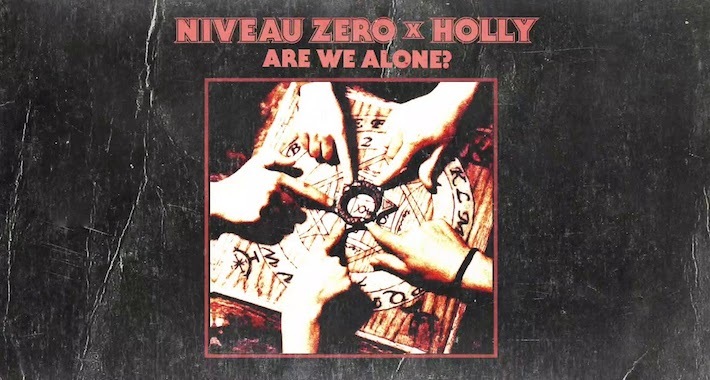 “Are We Alone” is a fiery crossover of global influences from Portugal to France, featuring fellow Fresh Blood artist, Niveau Zero. While Holly is known for his multi-layered sound design, Niveau Zero brings a harder edge, industrial vibe to the track, making it a dangerous collaboration. The pixelating prelude leads into an oscillating build up calling attention to their experimentation with evolving styles. Holly’s background in Hip-Hop and DnB is heard throughout “Are We Alone,” bringing a mix of raw energy, excitement and eclectic taste. Niveau Zero is a French bass-music producer with two albums and numerous EPs under his belt, while continuously touring across the world. Holly has dropped numerous releases on Buygore, Fool’s Gold, Dim Mak, Revealed, Spinnin, Circus Records, Monstercat and Division Recordings, while gaining a lot of support from Bassnectar, Baaur, Noisia, DJ Shadow, Martin Garrix, Borgore, The Chainsmokers, Hardwell, Afrojack and Steve Aoki. He was also featured in DJ Mag and Run The Trap as one of their Top 25 Artists to Watch in 2018 so check the beats and lock in your copy of this release here.